The InProcess Instruments Gesellschaft für Prozessanalytik mbH develops, produces and sells quadrupole mass spectrometers for online gas analysis in industry, research and laboratories. 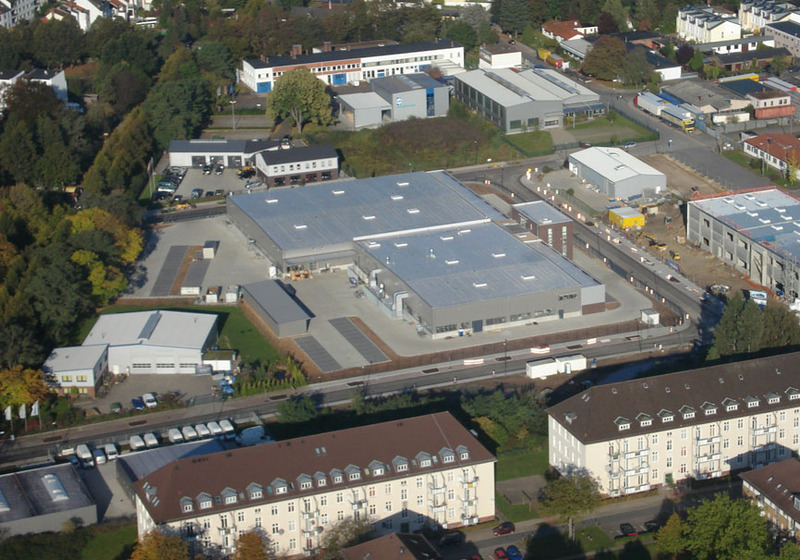 InProcess Instruments was founded in 1997 by Wolfgang Hrosch and Bernd Laser in Bremen, and delivers unit systems tailored to individual customer requirements to its clients around the world. 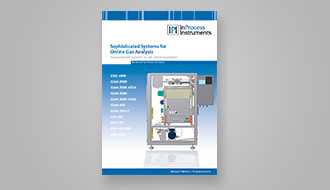 The high quality mass spectrometric gas analysis systems from InProcess Instruments are our response to the growing demands of the global market for powerful online process gas analysis. 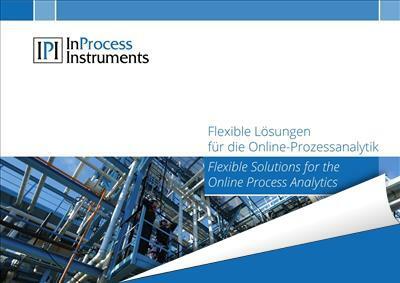 InProcess Instruments is specialized in the development of flexible solutions for customer-specific problems in online gas analysis. Optimal device configurations for the various applications are combined in modular designs with appropriate software into complete systems. This means: quadrupole mass spectrometers with various performance parameters, gas inlets with pressure and temperature control, multiport gas inlet systems for variable connection of calibration and measurement gases, various coupling options as well as digital and analog inputs/outputs for data and signal exchange in combination with the InProcess QUADSTAR® software for optimal device operation and automation of the entire analysis sequence. The perfect combination of IPI mass spectrometers and InProcess QUADSTAR® software provides software support for all modules. This integration guarantees fully automated calibration and analysis sequences, efficient data evaluation and report creation, modem support for remote diagnostics and maintenance. More over it allows for application-specific user modules. The strength of InProcess Instruments lies in the individual support of their customers with a view to providing solutions for special tasks and measurement problems. The key application aspects of this measurement technology are online process gas analysis, quality control and special applications for coupling with other analysis methods such as e.g. elementary analysis and thermal gravimetric analysis. Due to the wide variety of application options and fields mass spectrometry is today used in very different branches of industry, laboratories and research in process control and engineering, quality assurance and environmental protection. The universality of the measurement principle, high selectivity, multi-component capability, short measurement times, very high sensitivity and a wide measuring range dynamic are the key factors here. The resulting advantage is the simultaneous and in parallel determination of main components (up to 100%) and secondary components (down to sub-ppm components). 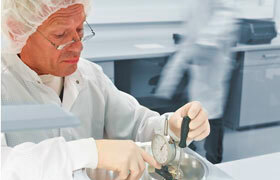 Rapid, specific and quantitative results signify safety, efficiency and guarantee of quality. The aim of our company philosophy is to build up and maintain long-term successful customer relationships through high productivity, reliable service, thorough application support and permanent further development. Our products are mass spectrometers for gas analysis. We offer our customers efficient analysis systems for process control, quality assurance and for R&D tasks. We develop specific applications for our customers, that are targeted at meeting their individual challenges and needs with the latest measurement methods as well as at contributing towards the solution of their problems. We are proud of our team of highly specialized experts and are proud to make their expertise available to our customers throughout the consulting, development and commissioning phases. InProcess Instruments is DIN EN ISO 9001:2015 certified. InProcess Instruments is certified for Research & Development, Manufacturing, Sales and Servicing of Mass Spectrometers since 2009. 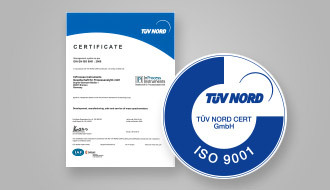 Our quality management system has been sucessfully re-certified according to ISO 9001:2015 by TÜV NORD CERT GmbH in March 2018. Bremen with its university and the number of well-known companies in the mass spectrometry sector is nationally and internationally recognized as an important research and development center in this high specialized field of technology. It is an ideal place for InProcess Instruments, as a comparatively young company, to profit from the transfer of scientific knowledge and technical cooperation. InProcess Instruments work here with a team of highly-motivated employees, natural scientists, engineers and technicians on the production and further development of their sophisticated equipment. This ongoing advancement of their technology is essential to meet the ever-changing challenges. These efforts are combined with the global technical support offered by IPI´s team and their network of cooperation partners.